This week features a waxing Moon culminating in the Total Lunar Eclipse on Wednesday, followed by several important Mercury transits. This is not likely to be a week you’ll forget! Let’s take a closer look. So this week we have this line-up of the Moon, Earth, and Sun, with the Earth’s shadow falling on the Moon, causing it to dim in the sky. In certain societies, this blocking of the Moon on what is usually her brightest night of the month is seen as a harbinger of bad news. And there are those who recommend that we take it easy on the day of the eclipse, avoiding all unnecessary work and travel. I have the feeling that this eclipse will be relatively mild, even though it is total. Bridging the mutable signs Gemini and Sagittarius, we may be able to spend the day in a philosophical frame of mind. Any activities that combine Gemini’s love of words and communications with Sagittarius’ love of vision and justice will work out well today. 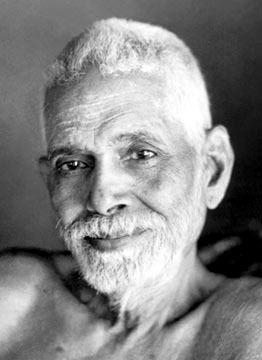 Our task is to bring balance to the day and let the problems resolve themselves. On Thursday, Mercury enters Cancer and then forms an extremely harmonious aspect with Neptune. Mercury in Cancer moves our minds from the facts and data gathering common with Gemini to tuning into and dealing with our customers’ and employees’ needs and motivations. You may have to meet one-on-one with people and reassure them; you may have to spend more time discussing personal and family matters. If you focus on loyalty and emotional bonding, you will win others’ allegiance and support. With Neptune on the field today, you may feel inspired by all your interactions, but steer away from decisions for today. Your insights are valid but you could mislead yourself about the scale of their application. Just take in the information now; decide what it means later. Friday is an excellent day for big ideas and fruitful interactions with authority figures. Mercury in harmony with Jupiter helps you take in the big picture and you will like what you see. The future looks bright and you will understand how you can take advantage of the opportunities that present themselves. With Venus in harmony with Saturn you will have the practical realism to turn your ideas into working plans, with a little help from others. Loyalty, duty, economy: these keywords will lead to good judgment and sound agreements. You’ll understand the value of alliances today, both existing ones and those on the horizon. You may have to change gears for a while and accept the more intuitive and less rational. Don’t expect the usual incisive thinking processes from yourself or those around you. If you feel yourself pulled in two seemingly incompatible directions, just wait for the moment to pass. Soon a clearer perspective will return. Another Mercury aspect rounds out the week on Sunday! With Mercury in Cancer, people want to unburden themselves and it’s important to take the time to listen. With Pluto in Capricorn, you may find out something that has been hiding in the dark. Whatever it is, it’s important that you actively confront the issue and resolve it. It may require bringing others in to help, but try not to carry it into next week. Deal with it and move on. Have a wonderful week and let me know how it goes. And remember to check back here for daily guidance when you need it. Have you seen my other blog? Discussing all things astrological, for anyone interested in real-life astrology, check out Ellen Longo’s Astrology Blog. The big news this week is the Solstice on Tuesday, December 21 which is the exact same day as the Full Moon Lunar Eclipse. These are powerful energies to usher us through the holidays! But with Mercury still in retrograde motion until the 30th, I think we’ll all have the circumspection and inner quiet to glean the very best insights from this extraordinary combination. Still in holiday mode I offer you the following slightly edited rewrites on the Solstice and the Eclipse, followed by a couple of great links to posts from two of my favorite astrology bloggers. Have wonderful holidays, whichever ones you celebrate, and remember to take rest amid the festivities. Every activity of nature holds a correspondence to our lives. Astrology is the practice of observing and learning from these connections. Twice each year the Sun appears to stand still in the sky. In cultures all over the world and throughout history, people have noted and celebrated this semi-annual event. The Wikipedia article on “Winter solstice” cites observances from Japan to the Inca Empire, from West Africa and Persia to the Zunis and Hopis of North America. An astronomical event with this much impact in current and historical times can be felt in all parts of our lives. What lesson can we take for our businesses? The Sun in the sky is the center of our solar system. Almost all of the energy that exists on this earth and in our lives comes from the Sun. Of all aspects of nature the Sun holds the most essential place as it is directly responsible for the rhythms of our daily and yearly lives. At the solstices, the Sun stands still – it takes rest. Whether at the northern or southern declination, there is a moment of apparent stillness. Even this most powerful source of energy takes this moment of rest. In the chart of a business, the Sun represents the leader, the owner, the source of the vision and direction of the company. The Sun represents the essential style of the leader and how the leader wields power and authority. Through its aspects we can see the vitality of the business and how well the relationships between the owner and his/her employees function. The Sun represents you. Do you take rest? The Solstices are natural reminders to pause; that as business leaders, whose lives are full of activity, there can be a natural point of stillness. 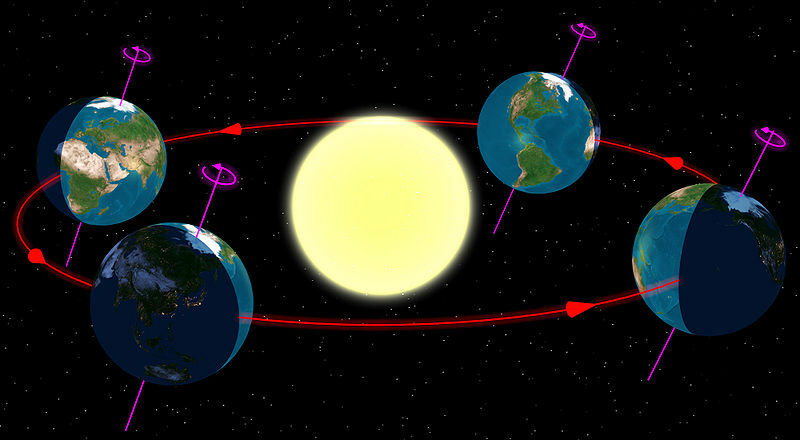 On Tuesday, December 21, why not create your own solstice? I know it’s a hectic time of year with all of the celebrations and observances, but an essential part of any celebration is the still point, the point to remember the meaning of the day. Take the day off if you can, or an hour, or even ten minutes. Sit down with your coffee and remember that you are the Sun in your business, the essential source of guidance and inspiration. Survey your world and thank yourself for your focus and energy of the past six months. Or walk around and thank your employees for their focus and energy of the past six months. And then begin again, just like the Sun. Here is advice from seven sages to keep in mind for the Eclipse. Welcome to the Astro4Business Monthly Forecast for December, 2010. 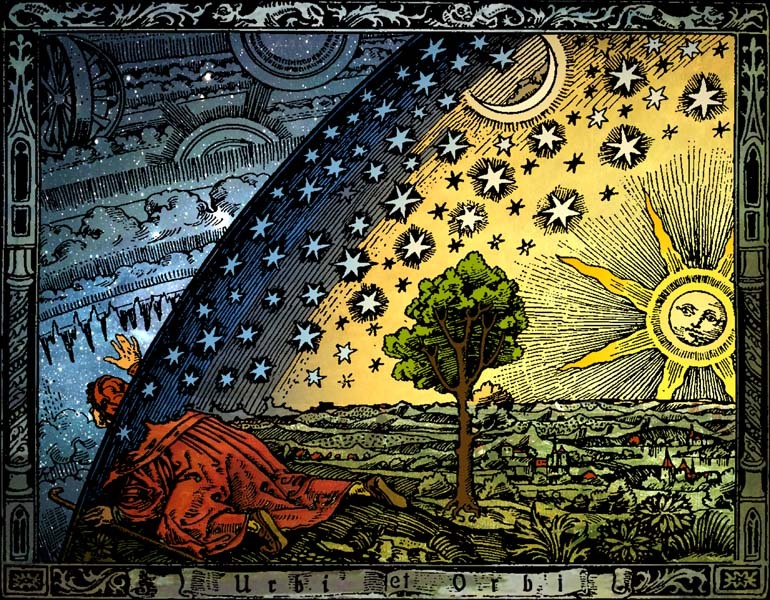 What are the planetary influences this month and how can we work with them? We’ve spoken at length about Pluto in Capricorn (see category at right), where it will remain until 2024. In a nutshell, this long transit will bring upheaval and transformation to many of the structures we have come to rely upon: government, religion, the economy, industry, and the military, to name a few. This transit carries the energy of revolution and evolution and can be dramatic and at times overwhelming. Pluto exposes what is hidden, sometimes for the better and sometimes for the worse. Everyone with planets within the first three to nine degrees of any sign is actively dealing with this energy. You’ve probably noticed a deeper and deeper probing and cleansing all year long, related to the issues mentioned above. Try to open a large space within yourself for a whole new perspective; be willing to become new and to irrevocably let go of something that has become outmoded. Pluto transits can be difficult, but when the work is done they are the most rewarding because we are permanently freed from a long-standing, but hidden, issue. With Neptune in Aquarius (see category at right) from 1998 to 2011, we’ve seen a growing global consensus regarding the equal value of all beings, shared responsibility for our planet, the distribution of technology to all corners of the world, and the right of each person to contribute to and further the base of common knowledge. If you have planets between 26 and 29 degrees of any sign expect to experience a subtle but powerful dissatisfaction with certain areas of your life and a yearning for a more meaningful connection to others. Pay attention to non-intellectual sources of knowledge such as dreams and art. Feel what is happening, listen for underlying currents rather than what is apparent on the surface. This disconcerting influence can dissolve the forms in our life which have no real content for us anymore. This can be disorienting and confusing while it is happening but once deeper connections are made, the benefits are rewarding and long-lasting. Uranus is the final planet to regain direct motion this year. After it comes to stillness and begins moving forward again on December 5 we will see a turnaround in all business matters influenced by the planet: industry structures; innovation; new technology; invention; community impact; creative destruction; and rapid response, to name a few. When the planet entered Aries last May, we began getting to know a new face of Uranus. Aries is the spark of entrepreneurial spirit, the initiating drive toward independence and individuality. You may have noticed new ideas incubating and a spirit of bold entrepreneurship in and around your business. But then Uranus moved into retrograde motion and there was probably a disruption in this full-speed-ahead current. You may have felt ambivalent or dissatisfied with your new ideas and initiatives. When Uranus moved back into Pisces in August there was another major shift. Yes, this was familiar territory; Uranus was in Pisces for most of the last seven years, since March 2003. But it may have felt like stepping back in time. From our new entrepreneurial spirit we re-entered the realm of collective ideas. From forays into a new style of leadership, we fell back into flattened hierarchies and committee decision-making. From enhanced independence we returned to collaboration and alliances. Uranus continues through the last degrees of Pisces for the next few months. With the resumption of direct motion you may experience a rush of pent-up desire for change. And yet, until it passes into Aries again in March, we are finishing up old business in an old style. If you have planets between 26 and 1 degree of the next sign it’s time to let yourself be excited by something new; branch out, experiment, try new things. Support a cause you believe in and invest your time in societal change. This will positively channel the excess nervous and intellectual energy Uranus can bring. 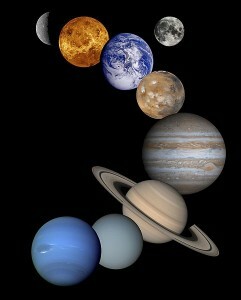 In July, Saturn entered Libra where it will stay until October 2012. Saturn is exalted in Libra which means it has a special affinity to the sign and if you’re willing to do the work, there is a promised payoff. See the category to the right on this important transit, but in a nutshell: what is the work of Saturn in Libra? To develop patience, persistence, responsibility, and humility in relationships. What is the payoff? Cooperation and mutual support. Last August, Saturn formed a difficult aspect to Pluto in Capricorn (see above.) The stress of this aspect revealed the decay beneath structures in our businesses (and our world.) Now the Saturn energy is building the Libra values of equity, parity, diplomacy, collaboration, and cooperation on the ashes of the past. Saturn brings a serious and responsible attitude to this time, especially in the areas of partnership and business relationships. Then Jupiter began retrograde motion in July. You may have found your enthusiasm flagging for your new products and plans. The forward momentum you’d been enjoying may have reversed, and you felt more restrained. This has been an important phase for realistically assessing how much we can get done, to curtail overdoing and over-committing, and to take the time to slowly grow a project to completion. In November Jupiter resumed direct motion. You’ve probably felt enthusiasm and forward momentum returning to your workplace. You can begin to think big again and the energy of Jupiter direct will support your efforts. Take the promotion, take the risk, buy that lottery ticket! On December 7, Mars, the planet that represents our drive, energy, and will enter Capricorn. Capricorn is a fantastic position for Mars. Mars in Capricorn is focused, patient, and unrelenting in the pursuit of goals, especially business and career goals. Mechanics and engineering are supported when Mars is in this sign as Capricorn gives entrepreneurial Mars the patience to devise and revise until a product is perfected. Since Mars in business represents your second tier of leadership, expect your managers to step up and willingly take on more responsibility over the next few weeks. In fact, they may demand it! If you’re planning promotions, wait until after the 7th and then move ahead. Venus re-entered Scorpio on November 29. Venus represents pleasure and in Scorpio, happiness is found in emotional and material security. You may worry more than usual about the balance in your cash accounts and focus your energy on stabilizing your finances. However, you could go overboard if you are too passionate in your pursuit of security. Be careful with this one: permanent alliances can be formed when Venus is in this sign but irrevocable separations can be just as likely. Long-lasting contractual or financial agreements can be gained at this time but may contain an element of intrigue and the possibility of betrayal. Review everything carefully and if there are unspoken emotional undertones, make sure you get them out on the table before you commit. Mercury entered Capricorn on November 30. Mercury in Capricorn is ideal for planning and strategy, so if you still have your 2011 business plan in front of you, set time aside to work on it between now and December 18th. From the free-wheeling Sagittarius energy we’ve entered a much more serious frame of mind. You’ll see a heightened ability to concentrate and deliver on promises. Watch out for a tendency to lose your sense of humor just when you need it most! Mercury spends from December 10 to December 30 in retrograde motion. In Astro4Business we understand the value of retrograde motion and welcome this time of review. In fact this is a great time to look back over the year and analyze what worked and what can be improved. See the links below for good information on how to handle retrograde Mercury. Due to retrograde motion, Mercury will slip back into Sagittarius on December 18 which will be great for the holidays (as long as you can smile through travel snafus) but not as good for serious planning. When Mercury is back in Sagittarius we may miss the details of the present because our minds are captivated by the future. Try to count to three before making any snap decisions. The Sun begins the month in Sagittarius. This is a friendly, outgoing, optimistic time, the beginning of the holiday season. In fact, we may tend toward over-exuberance as we know we are sliding into the Winter Solstice in the northern hemisphere. Increased sales are favored under Sagittarius and a generosity of spirit with employees and coworkers is a great use of this energy. When the Sun enters Capricorn we begin the season of renewal as we celebrate major seasonal change. The Equinox marks the beginning of Summer in the Southern Hemisphere and the beginning of Winter for us Northerners. It is a time of resolutions and annual planning, supported by the Capricorn qualities of patience, persistence, efficiency and practicality. The New Moon is in Sagittarius on December 5, waxing to full in Gemini on December 20-21 (depending on your time zone). 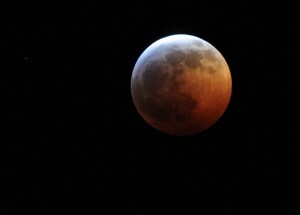 The Full Moon is also a total Lunar Eclipse, one of the two lunar eclipses each year. If you look at the graphic to the right, you’ll see how the Sun’s energy is blocked at the moment of the Full Moon. This can curtail the normal cyclic fulfillment of projects and goals this month, a wrench in the works. If it directly contacts a point on your chart its influence can be felt for about six months. This month’s Lunar Eclipse is at 29 degrees Gemini. A lot of Capricorn energy this month, with Mercury, Mars, the Sun, and Pluto all spending time in this serious, practical, and ambitious sign. Business will be on our minds and we’ll have the energy to take our plans forward. We’ll be supported by three planets in superb placement: Saturn in Libra will give us responsibility in partnership; Jupiter in Pisces fosters a spirit if interdependence and cooperation; and Mars in Capricorn gives focus and direction to our drive. And don’t forget to check your chart to see if 29 degrees is highlighted; if so, the Lunar Eclipse will be prominent for you. A full week ahead with Mercury and Venus changing signs and both planets highlighted by aspects in the latter part of the week. Uranus proceeds into retrograde motion on Monday; with unpredictable Uranus, expect the unexpected all week. And the New Moon and Solar Eclipse end the week with a need for withdrawal and reflection. Each year Uranus spends five months in retrograde motion. Retrograde motion is a visual event rather than an astronomical one. From our vantage point on earth, it looks like the planet begins to move backward against the backdrop of the constellations. When Uranus entered the sign of Aries a few weeks ago, we were probably flooded with new ideas for our business, innovations we couldn’t wait to try, restructuring whose time had finally come. We may have been “on fire” with potential and possibility. We’ve come into retrograde motion so quickly, but perhaps not a moment too soon. Especially with unpredictable Uranus in impulsive, risk-loving Aries, those innovations we were so fired up about could probably use a second look. And this is the gift of retrograde motion – it gives us a chance to retrace our steps, to check initial results against our expectations, and to correct decisions before they can do real damage. When a planet moves into retrograde motion, we can experience reversals and disruptions for a week on either side. The tricky part about the outer planets, Uranus, Neptune, and Pluto, is that the reversals could well seem to be coming from forces outside yourself: that new project doesn’t get approved after all, that funding doesn’t come through as scheduled. If this is your experience, take a step back. Uranus can act suddenly and swiftly but after a couple of weeks, as we adjust to the retrograde energy, we’ll discover the purpose for the setback. And then we’ll be thanking our lucky stars! Thursday can be an absolutely wonderful day if we can find the sweet spot between our desire for personal acclaim and acknowledging how much we owe to others for our success. Venus in Leo wants personal recognition but is opposed by Neptune in Aquarius. Neptune always asks us to focus on what’s similar between us rather than what is unique in one of us. During this long transit of Neptune in Aquarius, we’re all interdependent with support coming virtually from near and far. If we remember to give credit where credit is due today, it will be easy to make connections that last. And with a Mercury/Saturn sextile today, our communications will tend to be serious and accomplishment oriented. No frivolous chatting today. If you have an important meeting, keep in mind the Venus/Neptune advice above, but be sure to display your own credentials too. Rational, logical, and well-prepared will impress others today. On Friday, the messenger of the gods, Mercury, enters Leo where he may think he is god! Mercury rules our rational mind and when he’s in Leo, we may tend to think that everything we think is the absolute truth and each one of our words should be taken as authority. We may be out to prove the superiority of our intellects while Mercury is in Leo, but so will everyone else. This is a time to warn your team to take it down a notch, and not come across as overconfident or bullying. Just after Mercury moves into Leo it forms an excellent aspect with Uranus, newly retrograde in Aries. This may give you your first glimmering of how best to proceed if you faced unexpected disruptions this week. And I would say that communication is the key. Make sure your team knows if the direction has changed and open the door for their suggestions. Venus changes signs today, from flashy Leo to work-oriented Virgo, and you may experience this as a bit of a come-down. The flair and drama of Leo gives way to a more grounded, practical interchange with others and our social instincts will tend toward “you scratch my back and I’ll scratch yours.” A very serious financial planner may emerge from within you as well who will watch every penny. After the overly-generous Leo stint, this could be a welcome relief. Sunday should start off upbeat and confident with an early aspect between Mercury in Leo and Jupiter in Aries. You may feel over-optimistic and sure all your problems will be resolved, but that’s not a bad signal to send out into the universe, is it? Your energy may flag, though, as the day continues and we encounter the New Moon in Cancer with an eclipse of the Sun. The New Moon is a time to remain fairly quiet and indrawn if possible and even more so with an eclipse. The New Moon is a day of conception, when deep in the recesses of our psyches new ideas are born. When the Solar energy is eclipsed by the Moon, we feel more keenly the introspective and intuitive feminine energy of the Moon. This is why the day of the eclipse should be spent enjoying interior activities, at home, in quiet spaces. Meditating and visioning are great ways to spend the day of the eclipse; traveling and working are not. Even if you must work and interact with the public, try to reserve some part of your day for resting and silence. Neptune in Aquarius – let’s get connected! Tonight’s Eclipse highlights this summer’s conflicting energies, with the Full Moon exactly conjunct Pluto. The more I think about this grand pattern involving Saturn, Uranus, Jupiter, Pluto, the Moon, and the Sun, the more I think we are meant to summon our inner courage and take matters into our individual hands. With Jupiter in Aries, the sign of the warrior, our opportunities come when we step up the heat and embrace the warrior within. 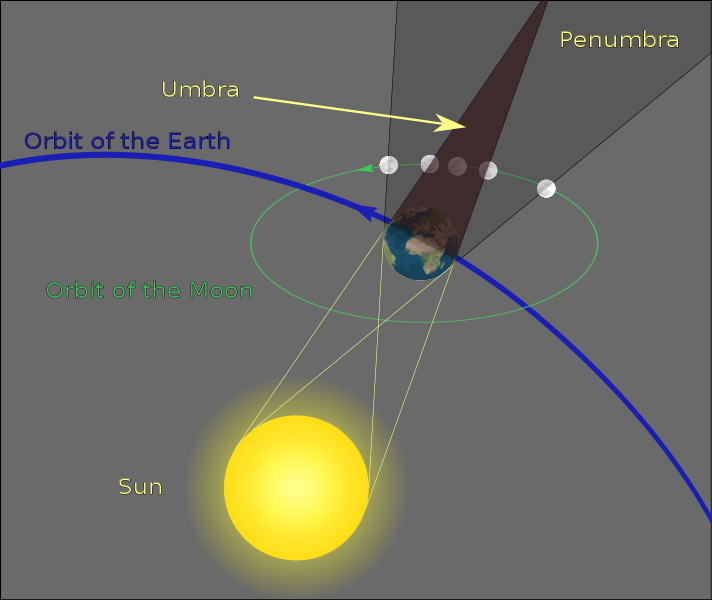 Here’s another video providing insight into this week’s Solstice and Lunar Eclipse. In the video, Dipali Desai of Spheres of Essence advises us to “Clear the decks of all that is not essential.” Perfect advice! I hope you enjoy it. If you missed the Astro4Business Forecast for this tumultuous week, check the link under the video. Copyright © Dipali Desai and Spheres of Essence. All Rights Reserved.